September | 2014 | Let's Talk History! Here at the museum we have a wide range of volunteer opportunities. As a small historical museum, we would be lost without the help of our volunteers. From cataloging photographs to working festival events, the possibilities are endless, and we always welcome more help. As a curator spending most of my time in the back, I have found that working with the special project interns is one of the most rewarding aspects of my job. Special project interns are usually college students volunteering during a school semester or summer break. Projects range from accessioning artifacts to helping install new exhibits. These students bring fresh eyes to every project, different approaches to each obstacle and enthusiasm that often spurs on my own passion for museum work. One of our summer projects was to catalog every single artifact in the Doctor Small home. Some of our interns, namely Aimee Clayton, took on the near impossible task. She accomplished a great deal in a short amount of time. All the staff had a great time working with her, and we are confident in her abilities to go very far in the museum field. Aimee took the time to write about her experience at the Kankakee County Museum. Thanks again, Aimee! Despite this past summer being my last chance of freedom from being a full-fledged, post-college adult, I, for some reason, felt the need to work, take a summer course, and intern with a local museum. I was fortunate enough to land an opportunity to work in collections with the Kankakee County Museum. As someone looking to work in the museum industry after school, it’s a big deal to have experience in a collections department. I began in May and was asked to help accession items in the Dr. Small house located on campus. In all honesty it was a daunting task with no promise of being completed before my time there was up, but I loved every second of it. I was given a unique opportunity to explore items from the past at my own pace, all while entering their information into a larger database. Every day I learned about artifacts I never even knew existed and I got to look into Kankakee County’s past. To be given this opportunity to work hands-on with these objects was a gift in itself, but as time passed I began to realize how special this area was and how much potential it still holds. I quickly realized that I lived here my entire life and knew nothing about its story. It was then that I realized that my time at the museum wasn’t just about completing a job. It was learning about the area and understanding why it was so important to preserve. If the work wasn’t enough to be thankful about, I have to say that I was very fortunate in working with such a happy, motivated, and supportive team. In this particular industry you’ll come across many museums that work beyond their given means to fund what they do best. Their efforts to preserve the past and educate the public are admirable and something every museum should aim to do, no matter their size or nature. I felt so honored to work alongside individuals that valued this little part of the world. Not only do they work tirelessly to safeguard the stories our past, they work to help represent the area as a great place to visit and live. Seeing their passion and supportiveness of one another also reassured me about where I was going career-wise. It took me just about the entire summer to get through the house. I’ve had a lot of people ask why I chose to work over enjoying my time off from school and I’ll tell you this: when you find something you love doing, you’ll never find it to be extra work or a waste of your time. I wanted the opportunity to help preserve the past a little bit so that future visitors could enjoy it, and the Kankakee County Museum gave me that chance. My time with this organization was unfortunately short-lived, however I cannot even begin to list the ways this experience has helped to develop me both as a person and a professional. Thanks to the Kankakee County Museum I have a newfound appreciation for my home, experience that will give me momentum as I move forward in my line of work, and a revitalized love for the museum world. 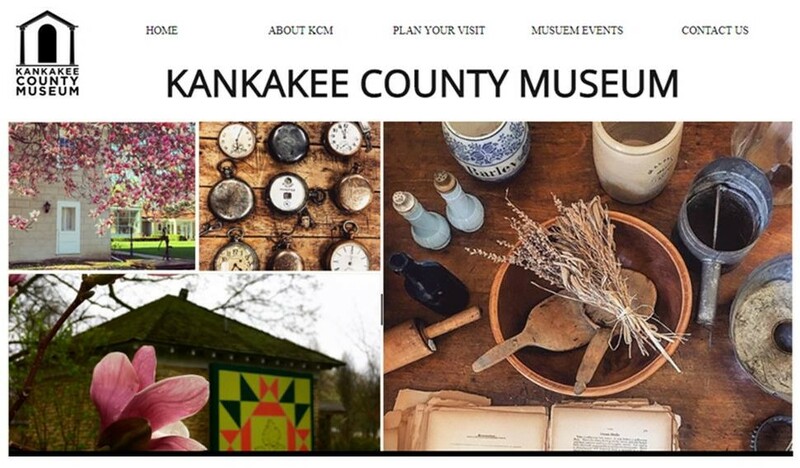 Please check out the Virtual Museum @ http://www.kankakeecountymuseum.com for ideas on what we are looking for!